A refreshing cleanse care for scalp and hair. 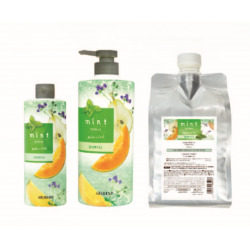 MINT 2018	There are 3 products. Deep scalp cleansing with a strong cooling sensation. Deep scalp cleansing with a mild cooling sensation. Green clay helps remove excessive sebum on the scalp while conditions the hair.